The clean inviting appearance of the apartment. The comfortable furniture. The staff were so prompt and helpful when we had any questions. The house keepers were so kind when we couldn't find clean kitchen towels, and they had been delivered. We loved the close location to everything. Very, very appreciative to Alwyn picking us up at the airport and taking us there when we left. The fabulous tour day with Alwyn. Overall a fantastic vacation stay. All conveniences within walking distance. Grand Anse beach was the highlight of our visit. Clear, clean, underpopulated. True paradise. Staff were very pleasant and responsive. WIFI was not fast but it worked flawlessly during our stay. AC units were quiet and efficient. Convenient to the grocery store, restaurants and beach. Very clean and affordable. Staff were friendly and helpful. Gardens were nice! Wifi was strong and TV options were great (appreciated having BBC news!) The younger night time security guard was just charming and so friendly - always greeted us and chatted about interesting things when we came back from a day at the beach. The property’s driver, Alwyn, was awesome! Loved the location. Bougainvillea is close to Everything. Close to Grand Anse beach. Close to the market. Close to Shopping. Spacious, well-cooled, had all amenities. Very comfortable space! Awesome location. Walking distance to beach, market and restaurants The staff is lovely. The location. Very close to all necessary facilities. I liked the location very much. 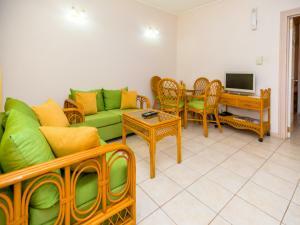 The apartment was self contained with everything you could ask for already at your fingertip. The hostess Dale was amazing, and my mom and I was treated extremely well. It was very comfortable, and I will definitely stay there again. 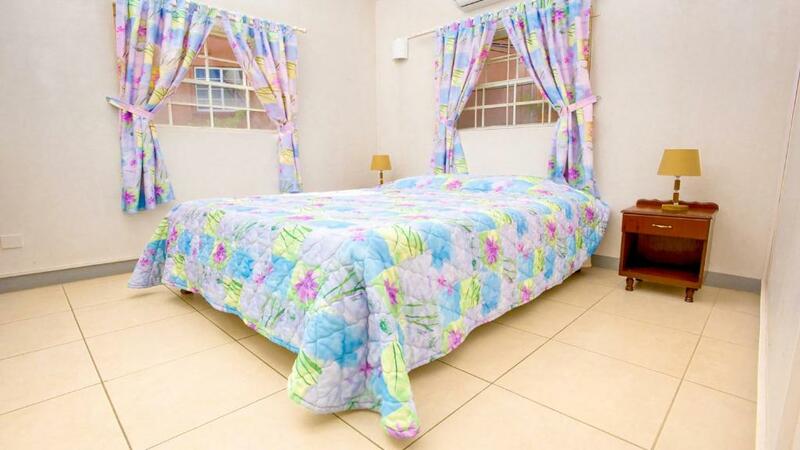 Lock in a great price for Bougainvillea Apartments – rated 8.9 by recent guests! 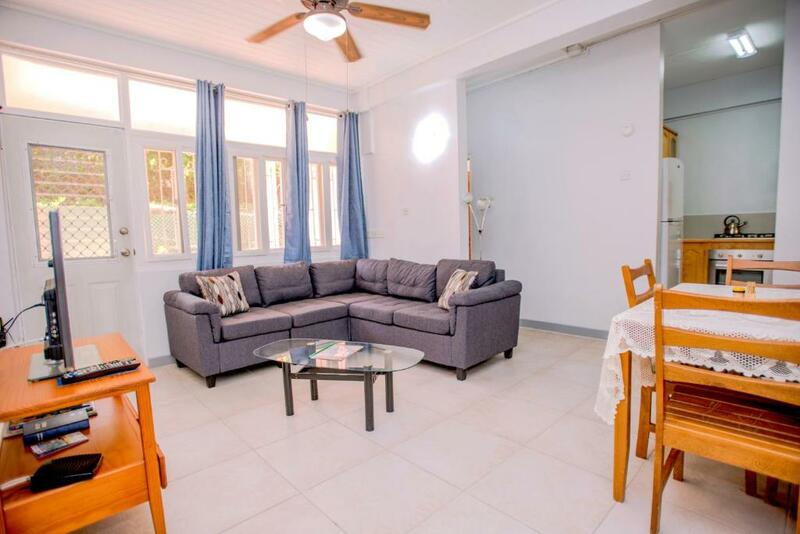 Bougainvillea Apartments This rating is a reflection of how the property compares to the industry standard when it comes to price, facilities and services available. It's based on a self-evaluation by the property. Use this rating to help choose your stay! 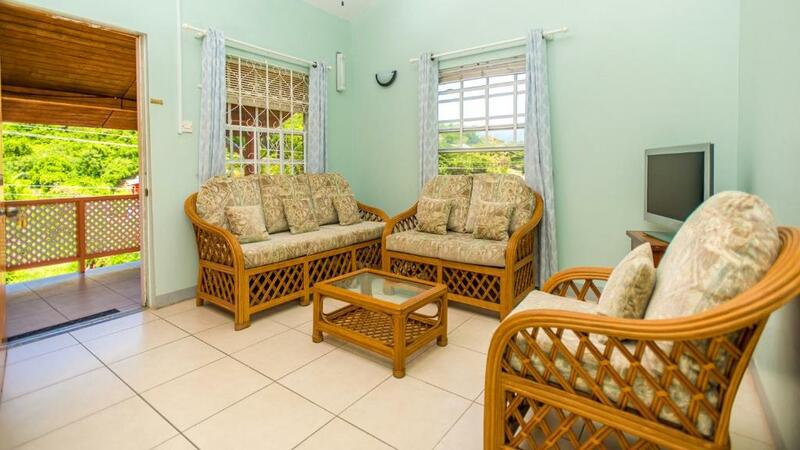 One of our top picks in Saint Georgeʼs.Offering a garden, Bougainvillea Apartments is located in Grand Anse, Saint George’s. Free WiFi is available . 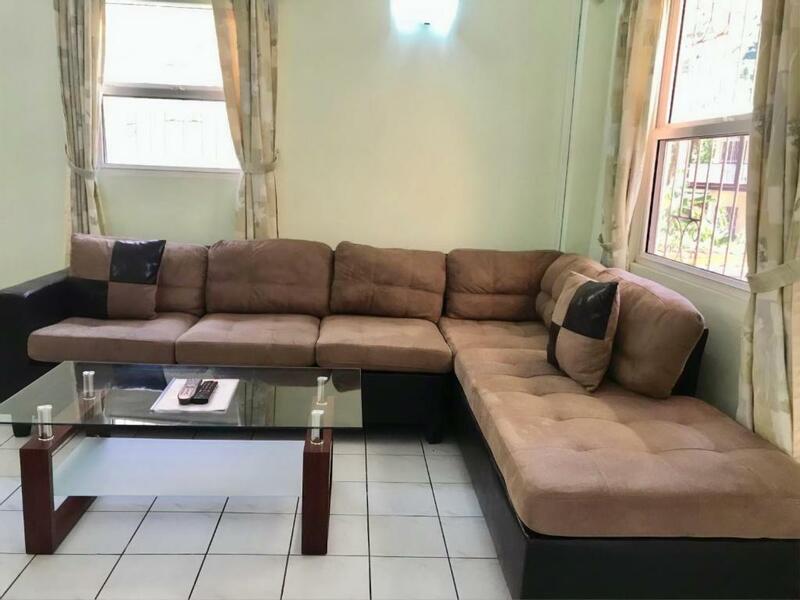 The apartments are fully furnished with air conditioned bedrooms and living rooms, ceiling fans, full kitchen, linens, safe and flat-screen cable TV in living rooms and master bedrooms. The bathroom is private and comes with shower. Guests can find supermarkets, banks, restaurants, beaches and public transportation within walking distance. Point Salines Airport is 2.5 mi from the property. This property also has one of the top-rated locations in Saint Georgeʼs! Guests are happier about it compared to other properties in the area. 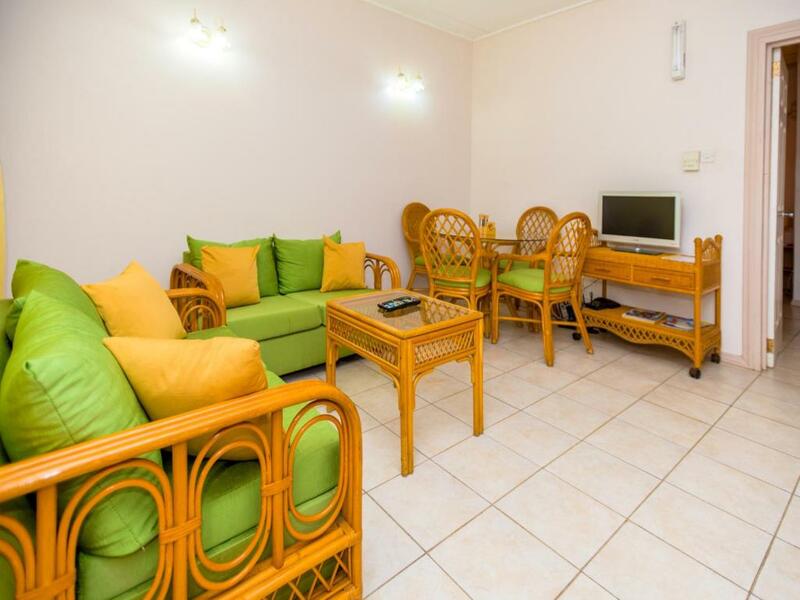 When would you like to stay at Bougainvillea Apartments? This apartment has a kitchen, air conditioning and WiFi. 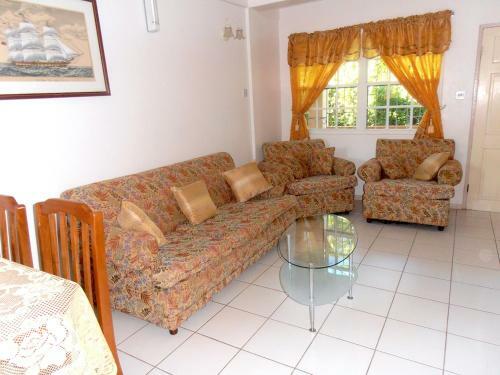 Bougainvillea Apartments are situated on the South West corner of Grenada. Set in tropical gardens, the 21 apartments are located in Grand Anse, 5 km from Grenada's Maurice Bishop International Airport, which has frequent flights from England and the States, 5 km from the Capital, St. George's. Grand Anse Shopping Centre, banks, Grenada's famous Grand Anse Beach and public transport to St.George's are all just a few minutes walk away. There are no elevators; please let us know if you require a ground floor apartment. House Rules Bougainvillea Apartments takes special requests – add in the next step! Bougainvillea Apartments accepts these cards and reserves the right to temporarily hold an amount prior to arrival. There are no elevators in the buildings and most apartments are accessible only by stairs. If you require a ground floor apartment please inform the property on booking. Please inform Bougainvillea Apartments of your expected arrival time in advance. You can use the Special Requests box when booking, or contact the property directly using the contact details in your confirmation. Bed were comfy but needed a king size and maybe possible to have headboards would have made the beds more comfortable but overall the apartment was lovely to stay in. Would definitely come back. No electric kettle, just an old one you put on the gas fire which took forever to boil, very frustrating. Friendliness and helpful staff. Excellent facilities. The washroom was clean and well stocked, but we find it be very small. Breakfast was not offered at this Villa. 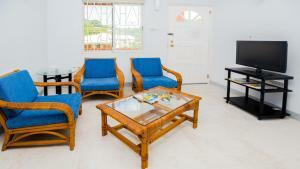 The location was great, everything we need within 5-10 mins walk eg: banks/restaurant/groceries/beach/transit. Barking dogs from neighbouring property disturbed sleep some nights. Excellent value for money, clean and comfortable. Very helpful staff answered all our questions and made sure that we had everything we needed. 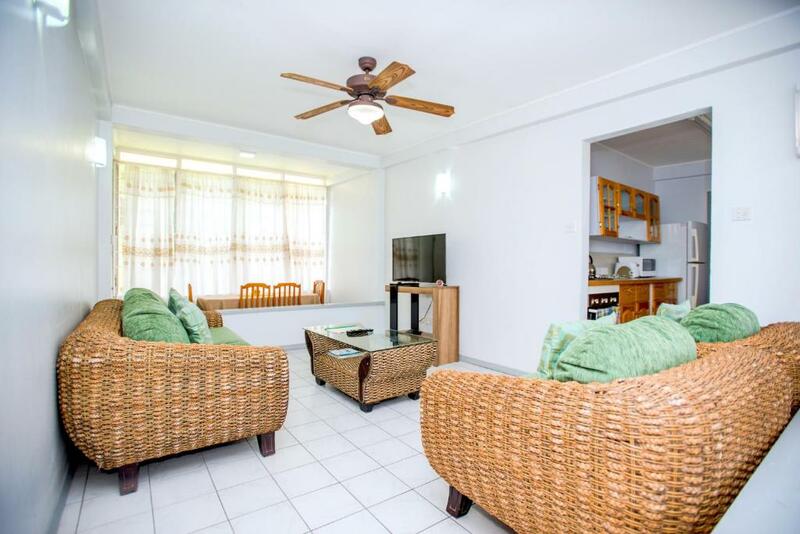 Good restaurant and supermarket within 5 mins walk and nearest beach 10 mins. Quiet end of beach is 20 mins walk. 'Bus' ride into town costs just EC$2.50pp and is an experience not to be missed. Happy to recommend. Spacious room with everything you need. Good location 15 mins easy walk from beach. Staff helped us to organise taxis and tours. My friend stayed in the smaller bedroom of the 2 bedroom premier apartment. She suggested a towel hanging rack on the back of her bathroom door like I had in my bathroom. Home away from home. Relaxing atmosphere. Central location. Property was great although I left a bag there, I have emailed 3 times to inquire about the bag with no response. No comment. Was satisfied. Plan to return before the end of the year. Three constantly barking dogs at sid of property. Reception was really off putting and gave a poor first impression, it was like a broom cupboard. The apartment was very basic, in particular the bedrooms. Very tatty looking bedding, one flat pillow per person. The toilet smelt of urine as plumbing was not right. The shower room was tiny for 4 yet alone 2 people. Arrived a Friday, cleaner came a Monday & Tuesday for a 7 night stay. Check out too early but knew this prior to booking. Brilliant location. 15mins to Grand Anse beach. Close to bars and restaurants Supermarket across the road. Main bus stop within 5 mins. Good kitchen. The barking dogs. Situation did improve a bit towards the end of my stay, but it was terrible the first few days. They barked all night long. The staff, the driver, always hot water, comfortable bed, excellent location, close to bank and grocery store. Very nice apartment. The facilities are very good. It is situated near the supermarket and Ans beach. They maintain the property clean and it is nice and quiet. Perfect for relaxing and for the independent traveller. Living room wicker furniture not at all comfortabl.